Der Sherman III ist ein britischer mittlerer Panzer der Stufe 5. Der amerikanische mittlere Panzer M4A2 war mit einem Dieselmotor ausgestattet und wurde nach dem Leih-und-Pacht-Gesetz nach Großbritannien verschifft. Dort erhielt er den Namen Sherman III. Insgesamt erhielten die Briten 5.045 Fahrzeuge im Krieg. 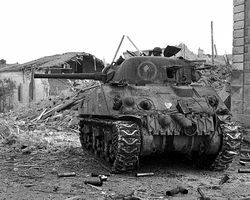 Der Sherman III führt zum Sherman Firefly. The Sherman III is comparable to its American brethren. Any tactic which works for the M4 Sherman would certainly work for the Sherman III. However, there are a few differences. The Sherman III has 465 hitpoints, slightly higher than the 460 hitpoints the M4 Sherman has. It is also slightly lighter. 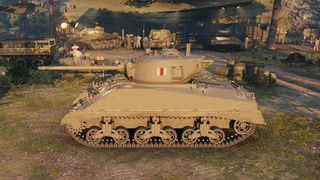 The Sherman III also has a squared-off hull versus the rounded hull of the M4 Sherman, making angling easier. The gun selection, while largely similar, has some differences. 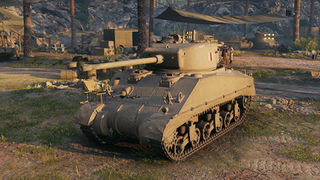 The 75mm Gun M3 and the 105mm M4 are virtually the same between them, except that credit-purchased ammunition for the Sherman III's 105mm M4 are slightly more expensive. The Sherman III has a fast-firing, high-penetration but low alpha damage 6-pdr gun, which is unavailable on the M4 Sherman. The Sherman III's 76mm Gun M1A1 shoots slightly faster than the 76mm Gun M1A1 on the M4 Sherman. However, the 76mm Gun M1A1 on the M4 Sherman receives excellent premium ammunition, with 177mm of armour penetration, enough to deal with all but the most heavily armoured targets it will encounter. Instead of these APCR rounds, the 76mm Gun M1A1 on the Sherman III receives improved AP rounds with 149mm of armour penetration. The Sherman III has less maximum ammunition for the 76mm M1A1 gun. It can only carry 71 rounds as to the M4 Sherman's 91 rounds. 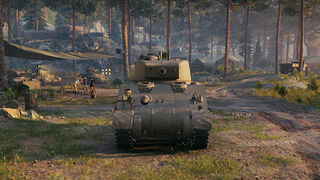 This means that the Sherman III has at least 2000 less potential damage than the M4 Sherman when using the 76mm guns. This difference in ammunition count is only manifest during lengthy shoot-outs that these tanks can actually survive long enough in. But, as with its American counterpart, the Sherman III does not excel in survivability. These differences are rather inconsequential when playing the Sherman III. 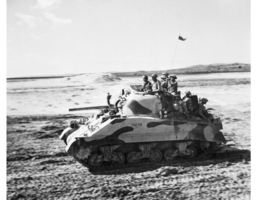 Like the M4, flanking tactics should be attempted with the 76mm Gun M1A1 or the 6-pdr Mk.V and brawling tactics should be used with the 105mm M4. Hull-down positions are very viable, and are very effective despite the reduced gun depression. Avoid taking hits; while its frontal armour can hold up to low-calibre guns and automatic cannon, it should not be relied on. This tank is a mixture of several different models of Sherman. 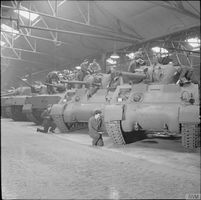 The British Sherman III is the same as the American M4A2, equipped with the General Motors 6046 diesel engine. 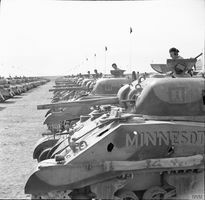 Tanks that used Wright Continental engines were called Sherman I in British service. 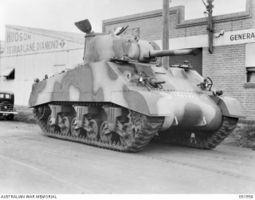 Shermans with the Chrysler A57 Multibank engine were called M4A4 or Sherman V. It also has a different, longer hull due the bigger size of the engine. 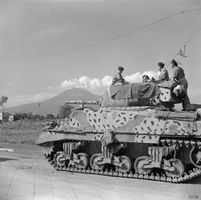 Of the tanks listed above, only the Sherman I/M4A1 was equipped with a 105mm howitzer. Diese Seite wurde zuletzt am 25. Oktober 2016 um 14:09 Uhr geändert.